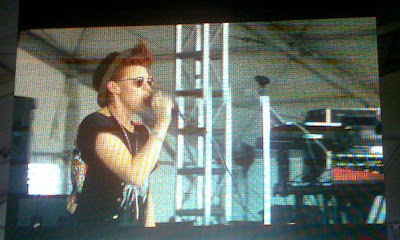 best thing about yesterday was seeing la roux at all points west. but i WENT, through the endless muddy bog of eternal stench, and i loveeeeddd them. 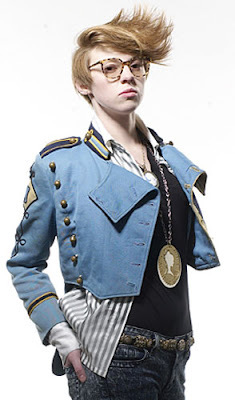 elly jackson, who i want to call 'la roux', is pretty cutedorable. 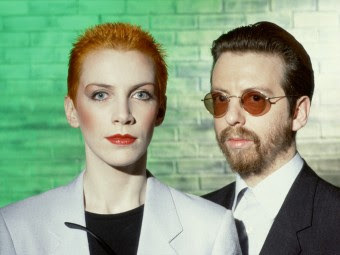 she is either molly ringwald in duckie's clothes, or she is both of the eurythmics put together. after listening to what i can find online, i gotta say i prefer the live versions of her songs. She's rougher and more interesting. The recorded tracks are little too clean. i want her to cover yaz's only you. or maybe just recreate this scene from pretty in pink. i can play annie potts. i saw her the day before at osheaga...she was fantastic, total festival highlight. Bulletproof pretty much rocks my world sideways on a daily basis.. love her hard. she kinda looks like a poor man's lissy trullie. i'll probably not dig the music so i'll leave the comparisons there. I saw her on It's On with Alexa Chung today and she was wearing a smoking jacket! I watched Pretty in Pink last night. How strange. 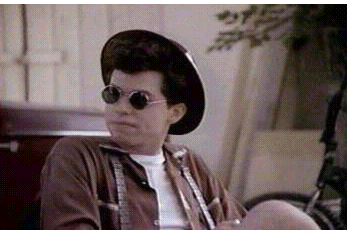 RIP john hughes, long live DUCKIE!!! This time baby I'll beeeee Bulllleeetttproof!! Ahh yeah I love it, She's going in for the kill.